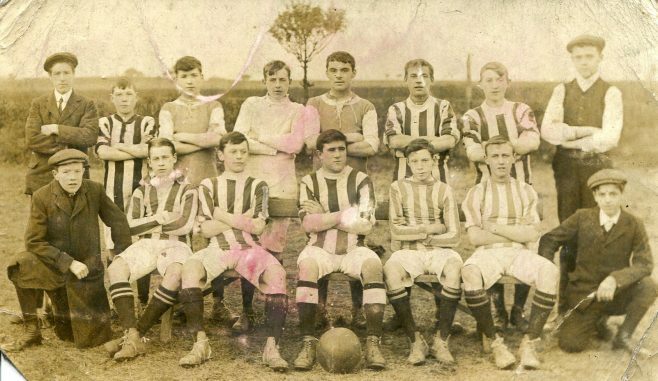 Two early football teams which are a bit of a mystery. Were they local teams? where were the pictures taken? All that is known about the second photo is the man with the ball is Martin Wilkinson. I wonder what colour their shirts were? Hello Ian. Looking into the 1901 and 1911 census returns, there was a Martin Wilkinson born 1894, Mansfield, living at 48 Nottingham road and also a Harold Bell born 1893, Mansfield living at 67 Nottingham road Harold was in both 1901 and 1911 at 67 Nottingham road. 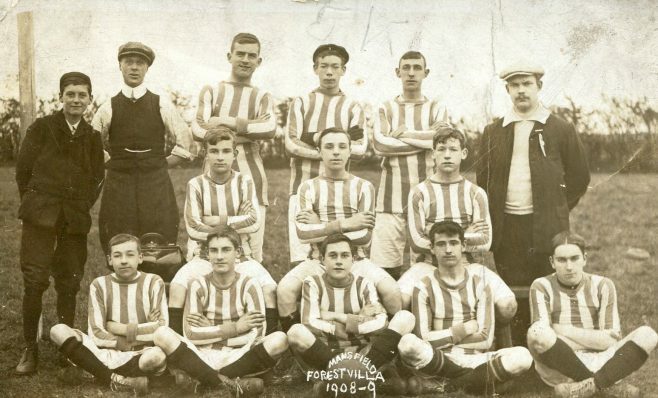 I wonder if the team played on the Forest road ground which is off Nottingham road, hence the footbal team name of Mansfield Forest villa. The name of the goal keeper in picture 1 is Harold Bell, my great Uncle.